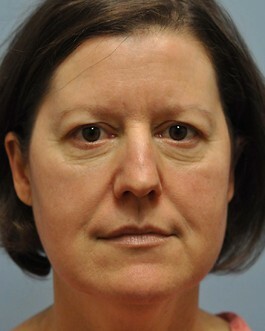 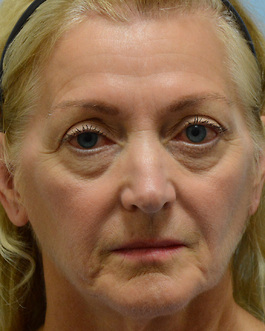 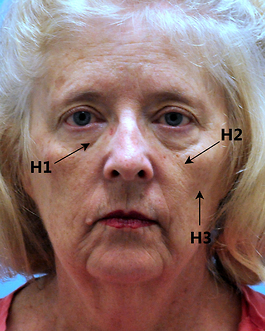 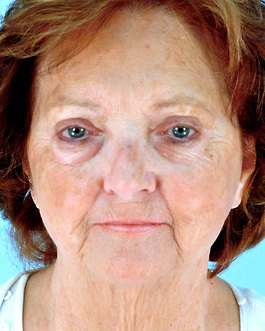 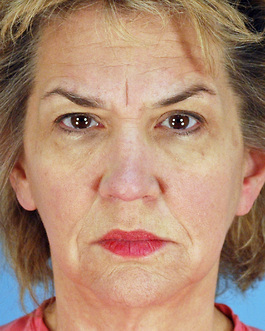 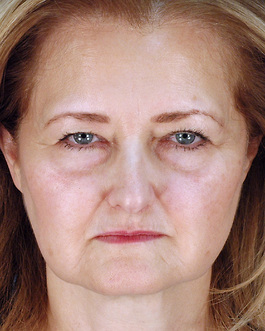 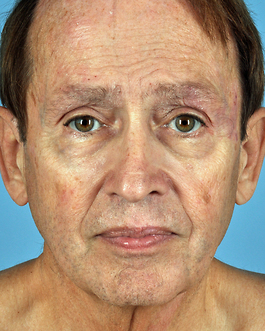 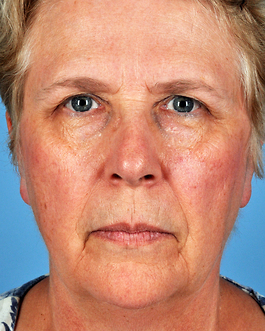 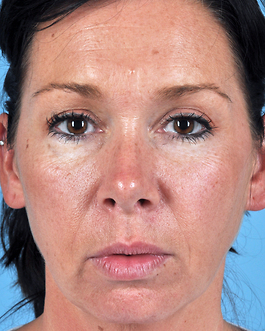 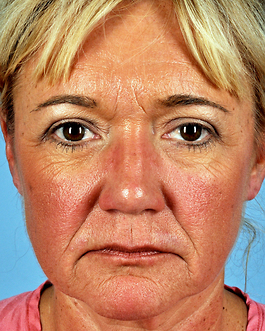 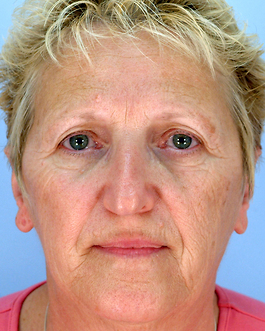 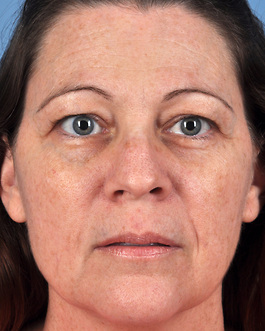 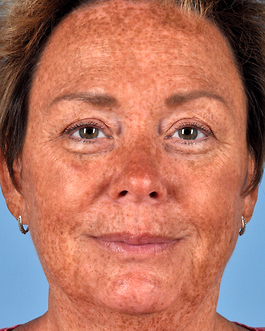 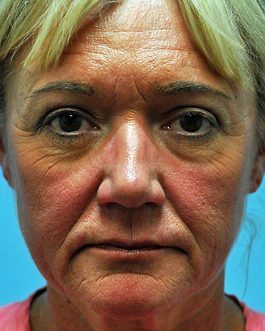 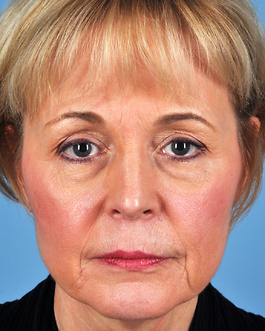 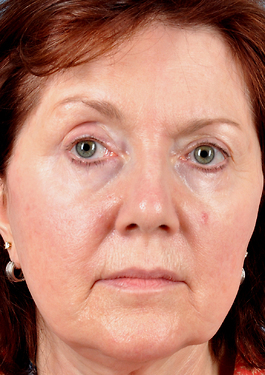 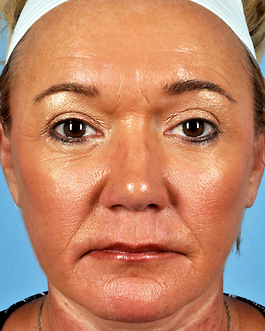 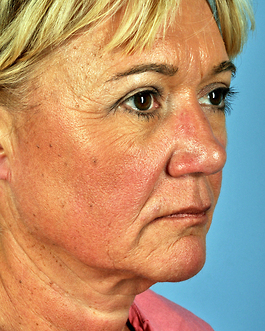 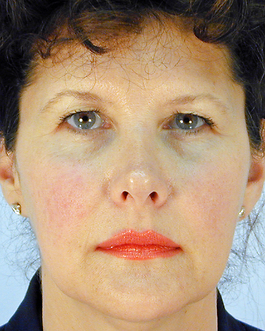 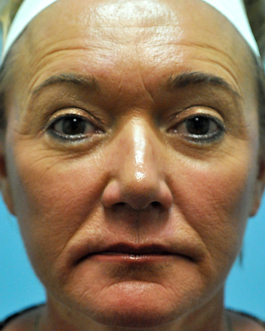 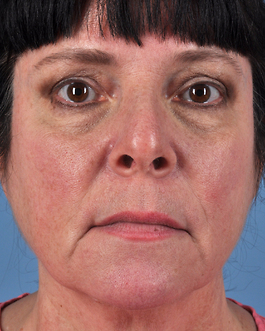 This 52-year-old Chesapeake woman had considerable sag of her cheeks, as well as sag and banding of her neck. 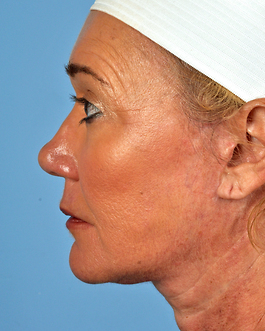 In the side view, we can see that this is not typical neck sagging because it also includes a drooping lower chin. 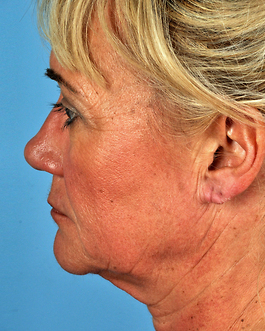 This condition is also known as “witch’s chin”, and is addressed with extra steps during a facelift including removing extra skin and hanging fatty tissue. 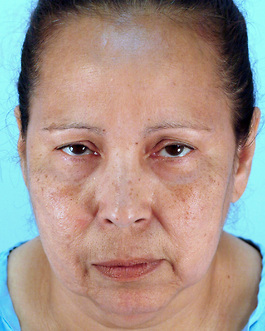 We also planned to address isolated areas of hollowing on her face through fat injections. 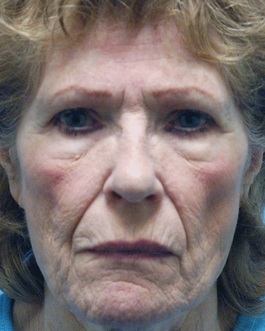 With her facelift , we included witch's chin excision and she had fat injections to the following areas: orbital rims, malar and submalar (upper cheek) areas, medial cheeks, nasolabial areas, pre-jowl and marionette lines. 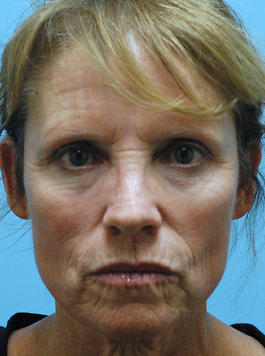 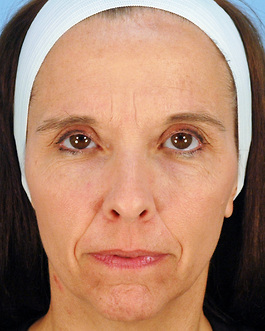 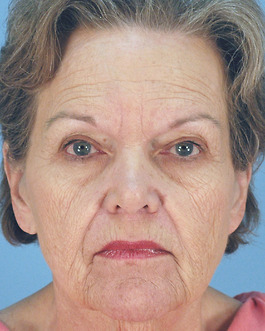 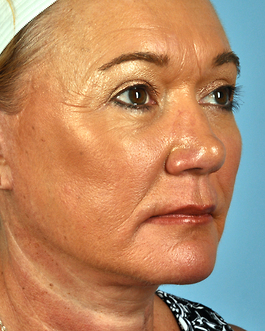 She is shown here 6 months following her surgery and she is very pleased with improvements to her chin and neck areas, as well as the overall more youthful look of her face.